Wherever in the world that you study with us, you'll get the same excellent teaching and professional standard facilities. You can also transfer between campuses for an international student experience. Make the most of our modern facilities and expert teaching when you study at Middlesex in London, the best student city in the world (QS Best Student Cities 2018). We've invested more than £200 million in our facilities and equipment to rival the world's top universities and professional settings. Our single-site campus is in Hendon, north London. It's a green and peaceful part of the city that's well connected to the rest of London, the UK and beyond. 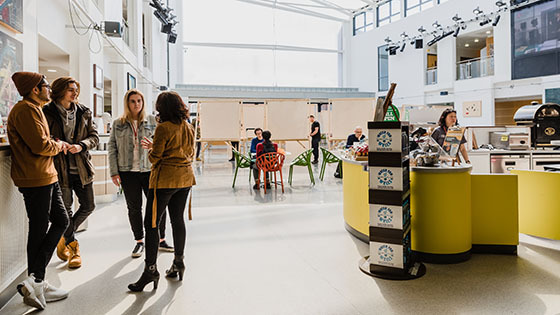 Facilities include a purpose-built centre for art, design, media and performing arts students, as well as dedicated labs and studios for those studying science, technology and health courses. 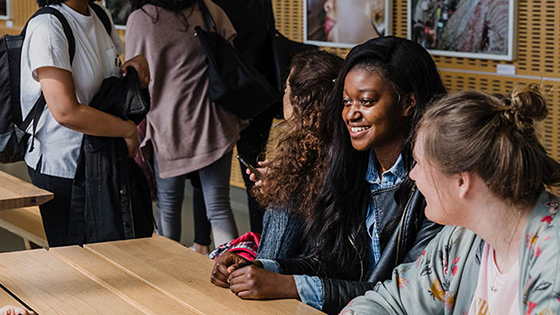 A short journey on the underground takes you into central London where you can build experience and connections for your future career and enjoy shopping, culture and nightlife. When you study at Middlesex, you can transfer between our global network of campuses. Start your studies at one campus and complete some or all of your course at another. Choose from our impressive range of courses that lead to an internationally recognised British qualification. You'll graduate prepared for your future career with advanced academic and professional skills. 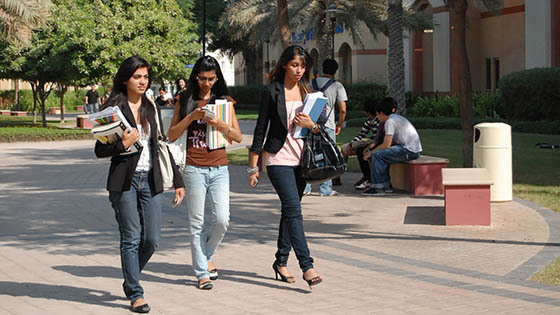 Dubai is our first international campus that's been open since 2005. We now welcome more than 3,000 students from over 100 nationalities. We offer pre-undergraduate, undergraduate and postgraduate courses in Accounting and Finance, Business and Management, Computing and IT, Education, Law and Politics, Marketing, Media and Communications, Psychology, Social Science and International Tourism Management. We also offer professional short courses to boost your career. When you study at our campus in Dubai, your course undergoes the same validation and monitoring system as in London and you'll be awarded an identical Honours degree as students there. You'll also have the exciting opportunity to study at our Hendon campus in London. You'll learn using state-of-the-art facilities on our beautiful green campus in the Knowledge Village, part of the Dubai Technology and Media Free Zone the heart of the Middle East. We have an inspiring academic environment with state-of-the-art, purpose-built facilities. Outside of the classroom, you'll find sports facilities, a bookshop, food court and prayer rooms as well as shopping. Our Dubai campus has achieved the highest possible endorsement from the UK's Quality Assurance Agency for Higher Education. These standards apply to all of our academic courses, wherever they're taught in the world. When you study at our campus at Cascavelle, Mauritius, you'll enjoy an outstanding learning environment and an amazing student experience. Join over 1,000 students, from 25 nationalities around the world, studying undergraduate and postgraduate courses at the new campus. It's somewhere for students from the island and the whole Indian Ocean Region. We've had a presence in Mauritius since 2010. We opened our new campus in 2017 including two lecture theatres with the latest technology, biodiversity and psychology labs and a student house for clubs, societies and downtime. Our sports complex has an Olympic sized swimming pool, gym and football and rugby pitches. Our courses will equip you with the right skills, knowledge and networks to achieve success in your future career. Choose from undergraduate and postgraduate courses includes Accounting and Finance, Computing, Advertising and Media, Business, Education, Law, Public Relations, Psychology and Counselling and IT. Get ready for new opportunities in your career with top-up and postgraduate courses in Computing, IT and Business on our Malta campus. You'll learn in a magnificent historical building with lecture rooms, well-equipped computer labs and study spaces in one place. We've been welcoming students to our campus in Malta since 2013. When you study with us, you'll gain the skills and knowledge you need to take advantage of IT, gaming development, financial services and managerial employment opportunities in Malta and across the world. Malta is the region's centre for international business – with the information and communications technology (ICT) industry already a main pillar of the economy. Our campus is located in the vibrant student area of Pembroke in the north east coast of Malta. As the 2018 European Capital of Culture, Malta has an unrivalled student experience with its sunny weather, endless beaches and nightlife set in more than 7,000 years of history.